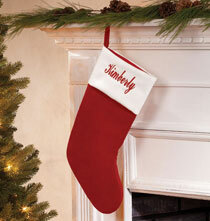 The elegant simplicity of this personalized 56" red velvet tree skirt makes it an instant holiday classic. Luxuriously soft velvet fabric with wide white trim is lined on the back for durability, creating a chic, timeless look you’ll love year after year. 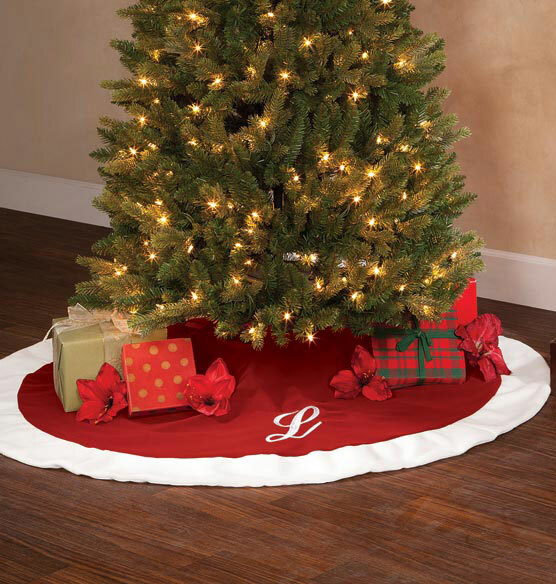 Personalized with a monogram, this red tree skirt gives your Christmas tree quintessential yuletide appeal for years to come.